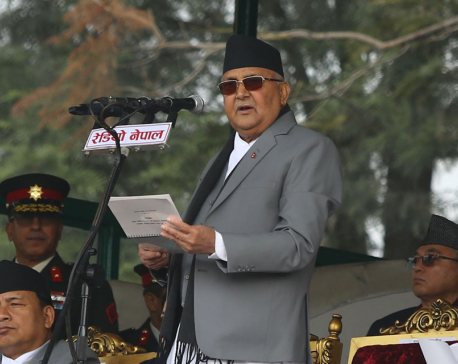 KATHAMNDU, April 16: It never occurred to the three political leaders that the certificate they were handing over might not be genuine. 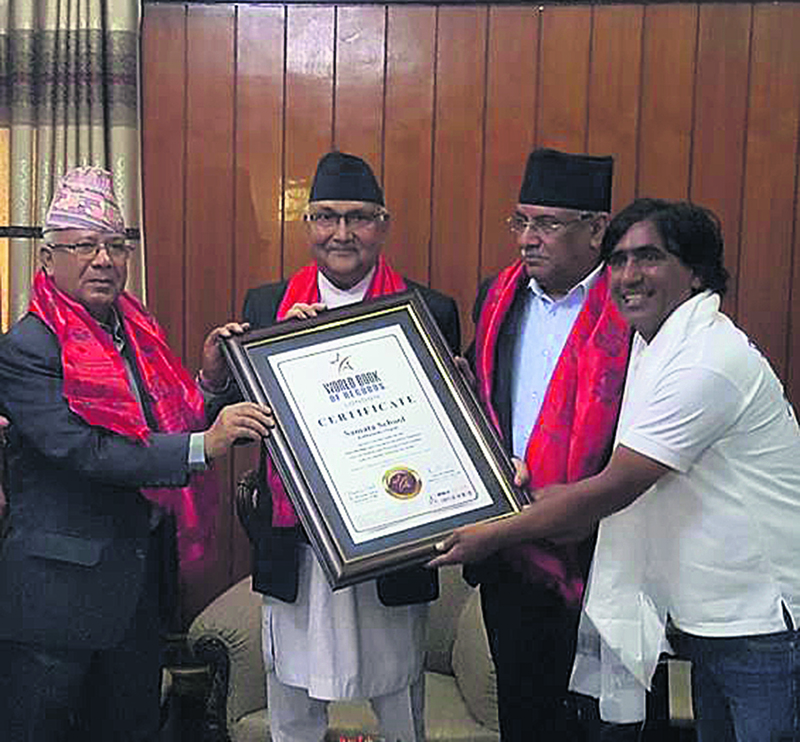 Prime Minister KP Oli and former prime ministers Pushpa Kamal Dahal and Madhav Nepal do not seem to have paid sufficient attention to what was widely publicized as a ‘world record’ certificate for the cheapest education being handed to Samata School. Nor do they appear to have read what was written in the certificate. Uttam Sanjel, the principal of Samata School, is not exactly in the Guinness Book. The certificate being handed to him was from the “World Book of Records (WBR)” and the person who verified the ‘world record’ is given as Santosh Shukla, Supreme Court Advocate. A Google search also linked Shukla only with the World Book of Records, nothing more. According to WBR country representative here Sagar Katwal, Shukla is a Supreme Court advocate in India. However, he is not listed as an advocate at the Indian apex court. “Shukla could be a part time law practitioner,” Katwal claimed. The process of setting a world record and filing a claim for recognition is very meticulous and difficult. The record verification company has to access data from countries around the world to check whether or not a new record has been set. However, only an established company such as the Guinness Book of Records has access to such data. WBR, on the other hand, relies solely on internet searches. “It is true we do not have access to data all across the world,” Katwal said. “In such cases, internet searches are used.” He said WBR recently set up a global network in order to reach out to more record holders and that WBR has connections in the UK, US, India and Nepal, to name a few countries. With the boom in the formation of such companies, hundreds of people including dozens in Nepal have already produced fake certificates. What attracts attention in this case is the involvement of serving and former prime ministers. 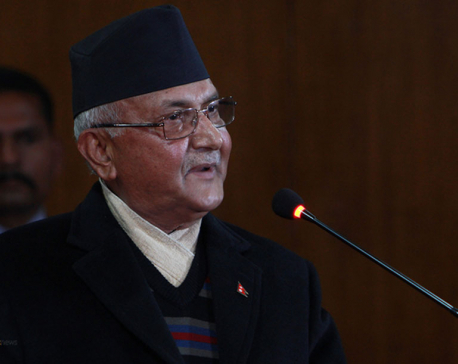 Prime Minister’s Press Advisor Kundal Aryal claimed that the prime minister was involved in the award function in order to encourage more people in various endeavors. “We kept faith in Sanjel as he has been known to be a great education activist,” he said. “The prime minister personally thought the people involved were known faces.” Sanjel had paid a visit to the prime minister a couple of days ago.